China and diecut paper placecards. Also pewter placecard holders. 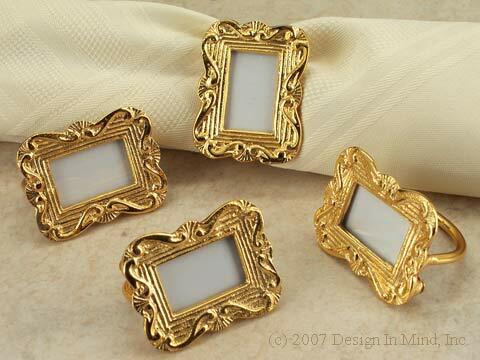 Picture frame napkin ring/place card holder. Gold finish picture frame opens from the back to insert a picture. Overall size 2 1/8" x 1 11/16". Frame opening 1 3/16" x 3/4". Could also be used without a napkin as a place card holder. 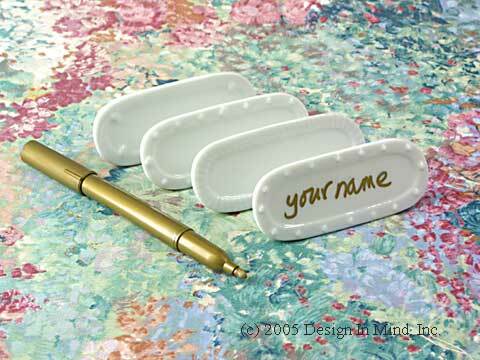 Set of four white china placecards with gold wipe off marking pen. Also great for buffet service. 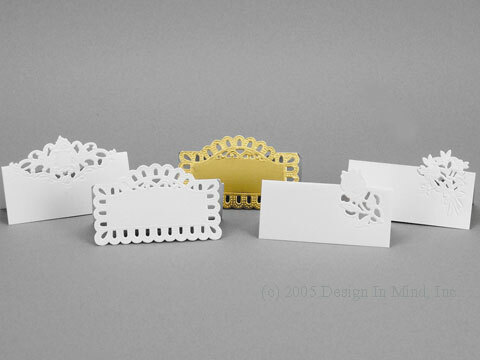 Overall dimensions: 1.5"h x 3.5"w x 1"d. Writing area is 3/4"h x 3"w.
Die cut and embossed, imported from Germany, white and gold placecards are made from heavy cardstock and are free standing. About 3.5 inches wide. Shown left to right. Not for use with placecard holders. 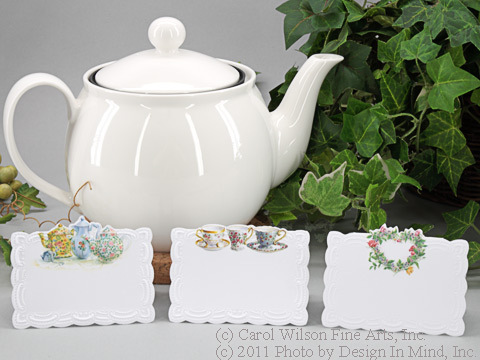 Die cut and embossed white placecards with teapots, teacups or a floral wreath decoration. Made from heavy cardstock. Folded size 3 1/2" x 2 1/2". In packs of 10.